What do Kanye West and your Creative Director have in common? They both think they’re superior beings and say some insanely ridiculous things. 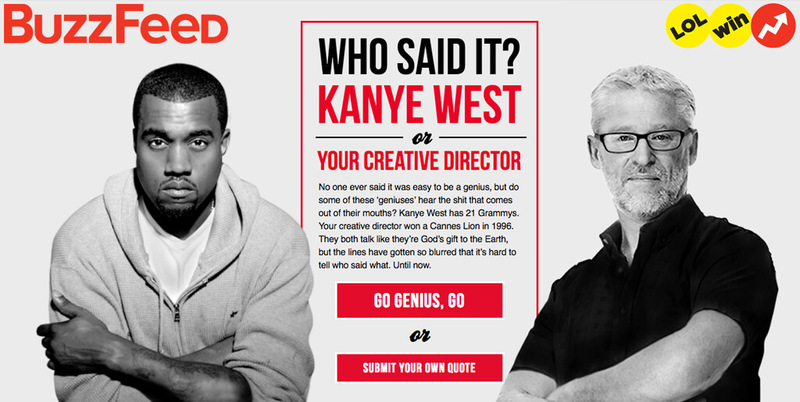 This new site Kanye vs Creative Director shows the similarities between Yeezus and CDs by asking visitors to guess who dropped the highlighted ego-centric quote. Take the BuzzFeed Quiz here.